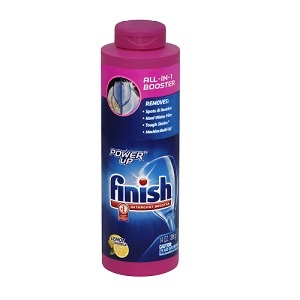 NOTE: The Finish Power-Up Glass Magic Dishwasher Cleaner is discontinued and no longer available. Please see our complete line of other similar items for a suitable replacement. 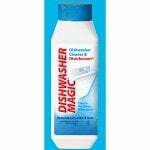 The Finish Power-Up Glass Magic Dishwasher Cleaner is a booster agent that works with your detergent to thoroughly clean your dishes. The Finish Glass Magic boasts four boosting actions that fight against spots, residue, and tough stains, while also removing hard water film. The Dishwasher Magic arrives in a 14 ounce bottle.